Celtic Harp Music inspired by The Isle of Iona, and the Celtic world. Some tracks recorded live on Iona and other wild locations. Original Harp Music played and recorded live at wild locations of the Celtic world, including The Isle of Iona, Scotland. 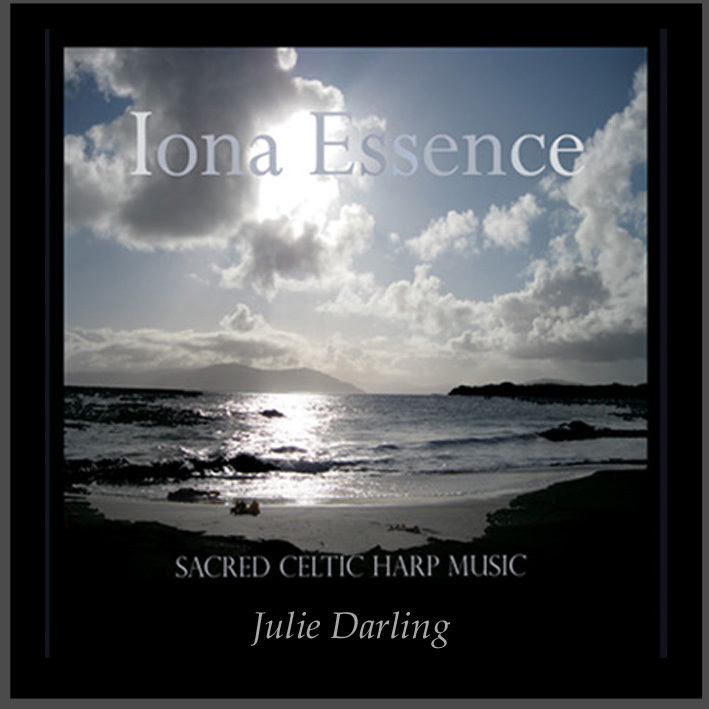 Tranquil Celtic harp music created and recorded on the Isle of Iona, Scotland. Sounds of birdsong and sea are interwoven with live recordings in nature. Also includes some studio tracks of Julie's best loved music, including Katherine's Lullaby. ​Sacred Celtic Harp Music created and performed by Julie Darling. of Iona, Scotland - sacred isle of spiritual seekers for centuries.